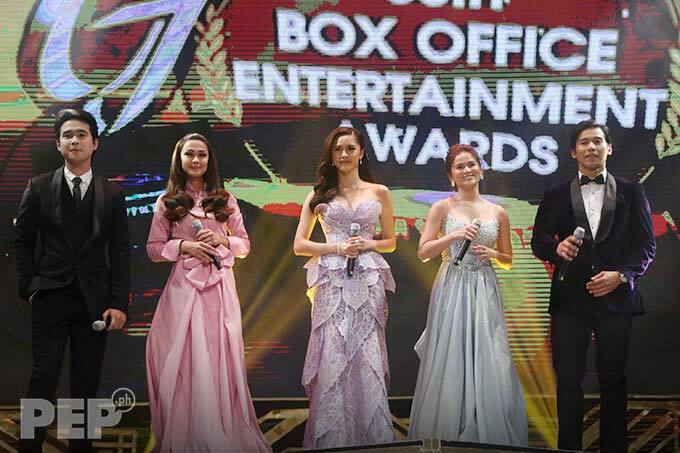 ABS-CBN and GMA-7 celebrities gathered for the Gabi ng Parangal of the 50th Guillermo Mendoza Box Office Awards. 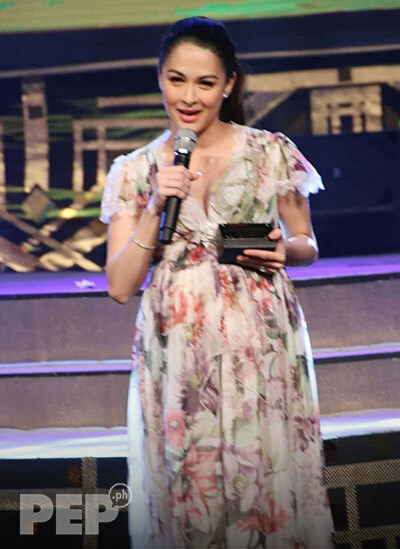 The awards night took place on Sunday, March 24, at the Star Theater at Star City. The venue became a way for ABS-CBN star Kisses Delavin to cross paths again with GMA-7 actress Marian Rivera. Marian was present that night to receive the Bert Marcelo Lifetime Achievement Award. 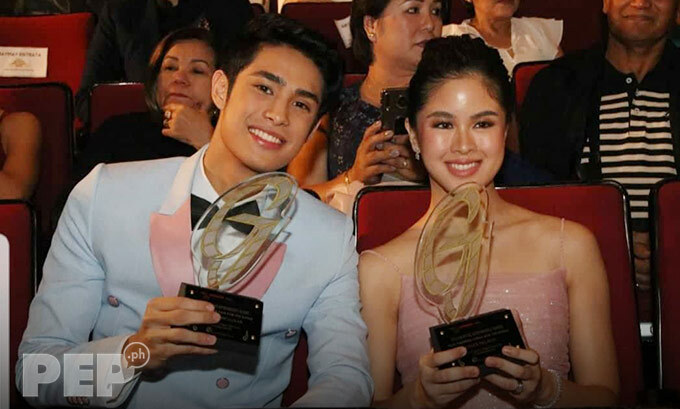 Meanwhile, Kisses was the recipient of the Most Promising Female Star for Movies. 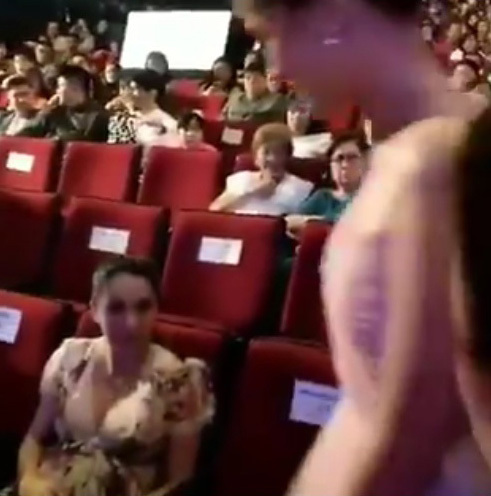 Their encounter was caught on video by Twitter user @Shiela17791662 who wrote: "Ayeeee... queen @KissesDelavin and miss @MarianRivera ngkita rin kgbi sa awards night... khit mgkaiba ang network pero ang friendship at samahan ay solid talaga..."
It will be recalled that in 2017, Kisses had the chance to personally meet Marian as well as husband Dingdong Dantes and their daughter Zia. Kisses was so starstruck back then that she described the Kapuso actress as a "goddess." Kisses wrote on her Instagram account: “Grabe, ate Marian looks like a goddess in person!" importante sa 'kin ang award na ito. Ang layunin lang naman namin, tulad ng lagi naman naming sinasabi sa Sunday Pinasaya, ang layunin namin ay magpasaya ng manunuod." Kapamilya star Kisses Delavin approached Kapuso actress Marian Rivera to have their photo taken during the awards night of Guillermo 2019. 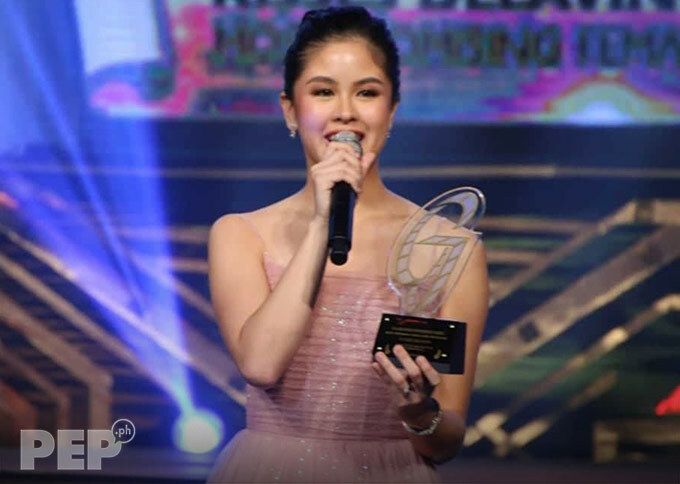 Kisses said in her acceptance speech at the Guillermo 2019 awarding ceremony, "Huwag niyo akong ituring na artista. Sana ituring niyo akong ordinaryong tao na tulad niyo na pwede maging huwaran sa lahat." Kisses was accompanied by her DonKiss love team partner Donny Pangilinan. He received the award for Most Promising Male Star for Movies.